We know that thick-ice springs occurred in 1974, 1975, 1986, 1992, 2004, and 2005 in the former ‘Eastern Beaufort’ – now the southern portion of the ‘Northern Beaufort’ and the eastern portion of the ‘Southern Beaufort.’ We know that these severe spring ice conditions negatively impacted both polar bears and ringed seals in this region every decade since the 1960s because the effects have been documented by numerous studies conducted in April through May for polar bears (Amstrup et al. 2006; Cherry et al. 2009; Pilfold et al. 2012; Stirling 2002; Stirling and Lunn 1997; Stirling et al. 1980; Stirling et al. 1993; Stirling et al. 2008) and in June and July for ringed seals (Harwood et al. 2012; Smith 1987), see previous posts here, here, and here. However, I think it is important to document how the transmogrification of sea ice effects on polar bears was managed in the scientific literature so that everyone can see exactly what has been done. In a truly astonishing move for what is supposed to be a field of science, thick-ice springs have been effectively replaced by an open-water red herring as the scourge of Southern Beaufort polar bears. This essay by Dr. Jim Steele, professor emeritus, San Francisco State University, is reblogged from a July 3 2013 post at WUWT post, with Dr. Steele’s permission. I am not a field biologist and have never done a mark-recapture study but Dr. Steele has. His perspective on the way polar bear biologists count bears and estimate survival in the Southern Beaufort is a perfect companion to yesterday’s post, a related post that I’ll put up later this week, and this one from December, among others. I’ve added links to the references cited in this essay where they are available, as is my custom. See the original post for Jim’s responses to comments and questions. The Inuit claim “it is the time of the most polar bears.” By synthesizing their community’s observations they have demonstrated a greater accuracy counting Bowhead whales and polar bears than the models of credentialed scientists. To estimate correctly, it takes a village. 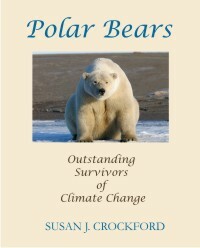 In contrast the “mark and recapture” study, which claimed the polar bears along South Beaufort Sea were victims of catastrophic global warming and threatened with extinction, relied on the subjective decisions of a handful of modelers. In mark and recapture studies, the estimate of population abundance is skewed by the estimate of survival. 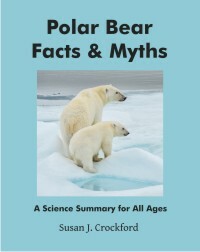 For example, acknowledging the great uncertainty in his calculations of survival, in his earlier studies polar beat expert Steven Amstrup reported three different population estimates for bears along the South Beaufort Sea. If he assumed the adult bears had an 82% chance of surviving into the next year, the models calculated there were 1301 bears. If survivorship was 88%, the abundance climbed to 1776 bears. If he estimated survivorship at a more robust 94%, then polar bear abundance climbed to 2490.1 Thus depending on estimated survival rates, a mark-and-recapture study may conclude that the population has doubled, or that it has suddenly crashed. Here are the simplified basics of estimating survival. Posted on July 2, 2013 | Comments Off on Did polar bear numbers in E. Beaufort fluctuate each decade due to thick ice years? Now that we have a plausible explanation (previous post here) for why shorefast ice in the Eastern Beaufort got too thick for ringed seals every ten years or so, it’s time to talk about the effect that this recurring sea ice phenomenon might have had on polar bear population numbers. We know from the reports of polar bear biologists that without fat young seals to eat in the spring, some bears in those thick-ice springs came close to starving and many mothers lost all or most of their cubs (Amstrup et al. 2006; Stirling 2002; Stirling and Lunn 1997; Stirling et al. 1980; Stirling et al. 2008). 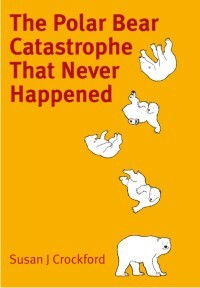 This presumably had some impact on population numbers – the question is: how bad was it? None of the reports on the effects of the thick ice have given us any indication of how many polar bears might have died or lost their cubs. However, Ian Stirling and colleagues (Stirling et al. 2011) recently published a paper on the Northern Beaufort subpopulation that looked, at first glance, to have done just that. You have to keep in mind that the geographic area in question – the Eastern Beaufort – is not an official polar bear subpopulation region – at least, not any more. As Fig. 1 below shows, the Eastern Beaufort was once its own, strictly Canadian region (or at least, a strictly Canadian research region) see previous post here), but management is now shared between two subpopulations and managed by two governments (Canada and the USA). About half of the bears of the “Eastern Beaufort” reside in the ‘Northern Beaufort’ subpopulation and the other half live in the ‘Southern Beaufort’ subpopulation. Figure 1. 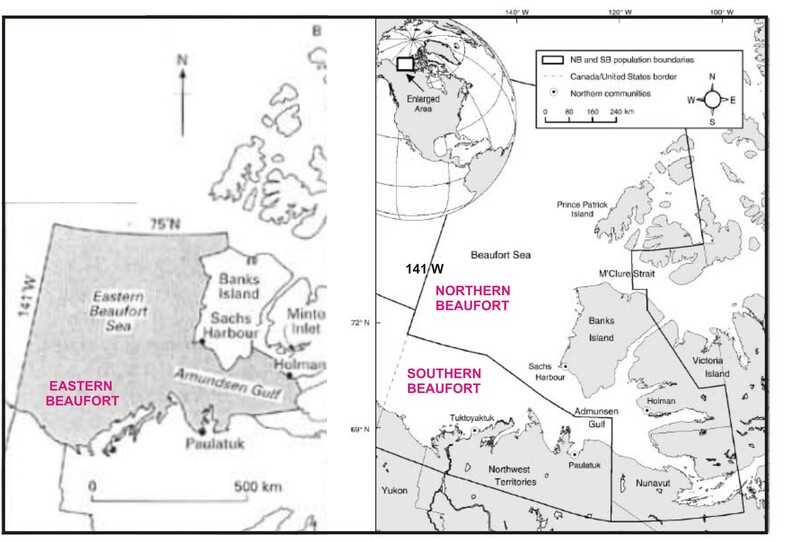 Re-jigging of polar bear subpopulations now splits what used to be an entirely a Canadian research segment, called the “Eastern Beaufort” (map on the left, from Stirling and Lunn 1997), into management regions called “Southern Beaufort” (shared with the USA) and “Northern Beaufort,” with the Canada-USA border at 141 W (map on the right, from Stirling et al. 2011, Fig. 1). Labels added. Most of the polar bears sampled for the Stirling et al. paper were captured along the west and south coasts of Banks Island, although a few were captured in M’Clure Strait and in Amundsen Gulf. Despite the changing boundaries, ringed seals and polar bears in the Eastern Beaufort have been the focus of research since the early 1970s. In part, this is because the region has been targeted for oil exploration and studies on both species have been part of the associated ecological impact assessments (Stirling et al. 1993). Comments Off on Did polar bear numbers in E. Beaufort fluctuate each decade due to thick ice years?